The NLEX Road Warriors is scheduled for a head-to-head game against the Meralco Bolts at 4:30 P.M. on October 14, 2018 live from the Smart Araneta Coliseum. The Bolts will try again to stop their losing skid which now reached to six while the Road Warriors will also try to do the same as they also nursing a two-game losing skid. After reaching the PBA Governors’ Cup twice in the last two years, everyone thought that Meralco will comeback strong this year and thinking that Allen Durham will finally have his championship trophy. 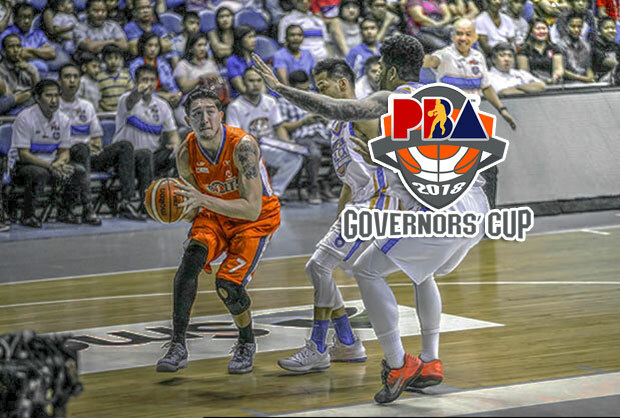 However, with the injuries bugging Meralco and hit two of their key personnels (Jared Dillenger and Ranidel de Ocampo), their return to the Finals and even at least in quarterfinals is in jeopardy. Currently, they only logged one victory against the hapless Columbian Dyip and that was during the third conference game opener. After that, the Bolts went downhill including their stint in the 2018 FIBA Champions Cup in Thailand. Although they finished fourth in that FIBA tournament but if you check their win-loss card, Meralco was 1-4. Thanks to beating the defending champion Al Riyadi and the quotient system that propelled Meralco to the Final Four. Back-to-back Best Import awardee and Meralco import Allen Durham is baffled the way his team playing this conference. “I don’t understand,” Durham lamented. “We play hard in practice but in crucial times we’re just not smart and we do stuff that shoot us in the leg,” he added. For coach Yeng Guiao and his Road Warriors on the other hand, they’re looking to get back to their winning ways. NLEX was one of the early leaders this conference but after they matched-up with heavyweights of the PBA they started to absorbed losses. They got easily beaten by Barangay Ginebra and seems like a game designed for Mark Caguioa in order for him to reach the 10,000 career points milestone. Then got no answer to Eugene Phelps who dropped 51 points against the Phoenix Fuel Masters. Currently, NLEX is one of the teams in the middle pack of the standings. They need to start collect more wins as the window for the top four slot which carries a twice-to-beat in the playoffs still for grabs.